Oil for frying. Either sunflower or olive oil – or a mixture of the two. 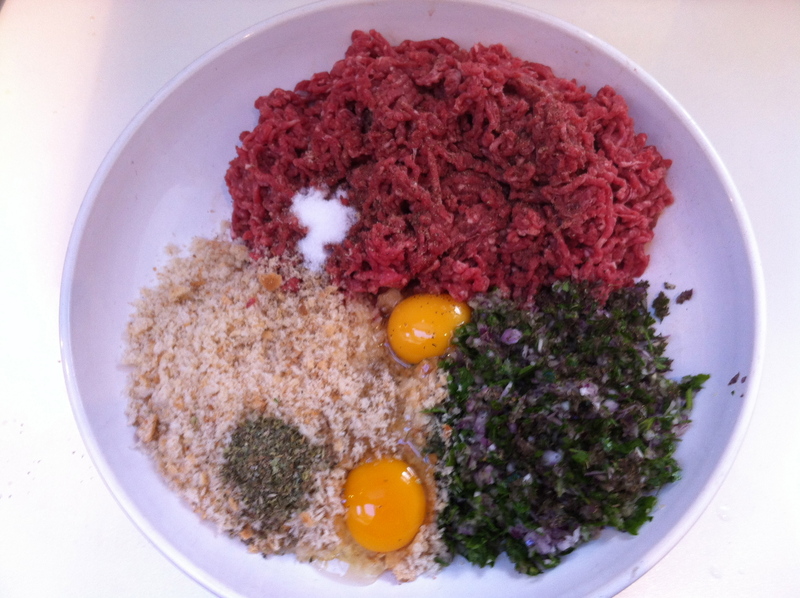 In a large bowl mix the mince, the breadcrumbs, the herbs, seasoning and beaten egg. It may be necessary to add a few tablespoonfuls of cold water to combine all the ingredients. A tablespoonful of ouzo can be added at this point – it makes a slightly more aromatic version. Knead all the ingredients with your hands until fairly smooth and well combined. Shape into little balls – the size depends on how you are going to serve them. For a main course, they need to be the size of a walnut. If they are going to be part of a mezé, it is better to make them a little smaller – probably about the size of small cherry tomato. 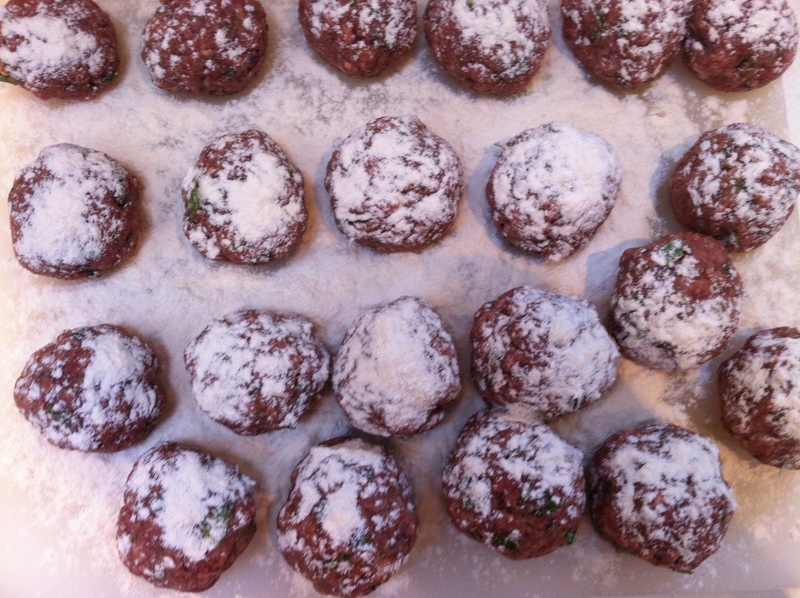 Dust the meatballs with a little plain flour. In a large frying pan heat up the oil – personally I prefer a mix of olive oil and sunflower oil. The trick with frying keftédes is not too blitz them. If you have the oil too hot, the flour on the outside will burn too quickly and become bitter, and the onion in the mixture won’t have enough time to cook through leaving a horrid, raw onion flavour. So shallow fry them in batches at a medium temperature, turning them over occaisionally. It may be necessary to change the cooking oil after a few batches. Serve warm with chips, a good greek salad and plenty of tzatziki. 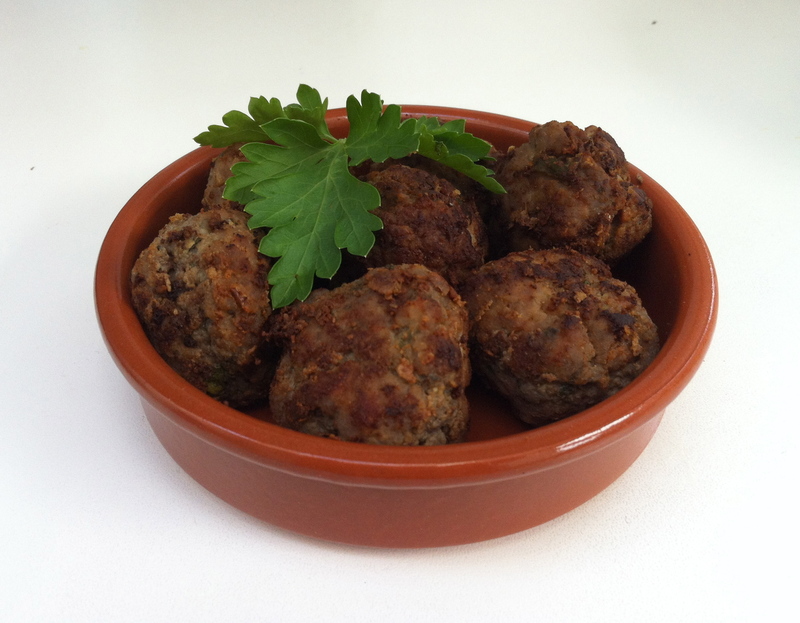 Or alternatively, serve at room temperature as a mezé or as a picnic dish.